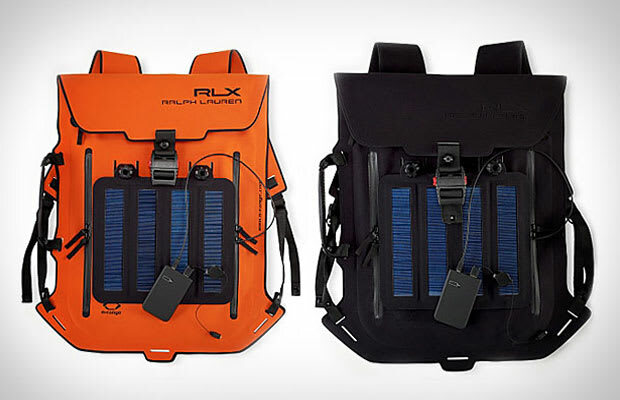 There are a ton of backpacks available that sport solar panels and digital connections so you can charge your gadgets while hiking, camping, or just walking &apos;round the city. But only one of them is made by Ralph Lauren. What&apos;s in a name? Well, when it comes to RL, you get design that&apos;s as functional as it is stylish. If you don&apos;t think this is well designed, just Google other options. You&apos;ll see how hard it is to make a bag rocking a huge solar panel look good. However, with that name comes a high price. You want to rock this sick waterproof solar backpack? Be prepared to fork over $800. Still interested? Head to Ralph Lauren&apos;s website to buy it now.